The new energy supply of the chocolate factory Weinrich with a highly efficient combined heat and power plant and the integration of several storage tanks convinced and won the title 'CHP of the month April' in the current issue of the German journal Energy & Management. 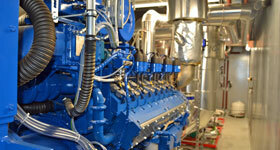 The new cogeneration plants of two hospitals in Grimma and Wurzen were officially put into operation. With the modern energy saving plants of the types SES-HPC 270 N and SES-HPC 100 N, the facilities optimise their energy supply. 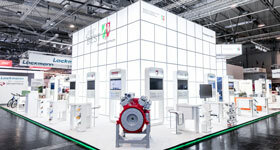 E-world 2019: thank you for your visit! We were very pleased about your interest in combined heat and power and the personal exchange at the E-world energy & water in Essen. 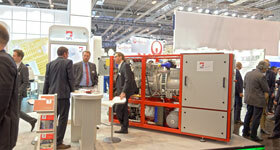 Thank you very much for visiting our CHP specialists at our booth of the state of North Rhine-Westphalia! 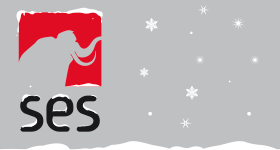 Wishing you a very Happy Christmas and all the best for the New Year! Looking forward to our next projects! 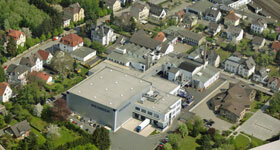 For the production of 22,500 tons of chocolate a year Ludwig Weinrich GmbH & Co. KG requires heat, cold and electricity. To save costs and resources, the world market leader in the production of organic and fairtrade chocolate relies on a combined heat and power plant made by SES. We are very glad to have successfully passed the surveillance audit to fulfill the quality standard according to DIN EN ISO 9001:2015! 'Prepared for the future' - title of the 'CHP of the month July 2018' in the current issue of the German journal Energie & Management. 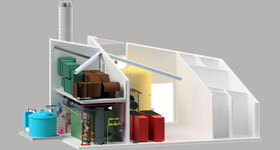 The environmentally friendly concept of a SCR catalyst integration convinced. 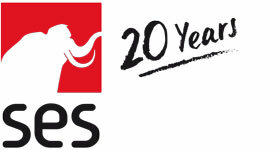 Company anniversary: ​​20 years CHP specialist SES! With pride, we look back and celebrate our 20-year company existence! 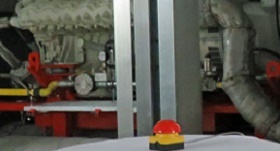 Since 1998, we have built up our know-how continuously, meanwhile our 100 employees are real CHP specialists. E-world 2018 - thank you for your visit! We were very pleased about your visit to the E-world energy & water. We spent four exciting days with many interesting conversations.